Auntie Gladys, not like this. Many of us have spent a year or more protesting the NFL in support of Colin Kaepernick and other players’ right to kneel during the national anthem (or simply opt out, altogether). 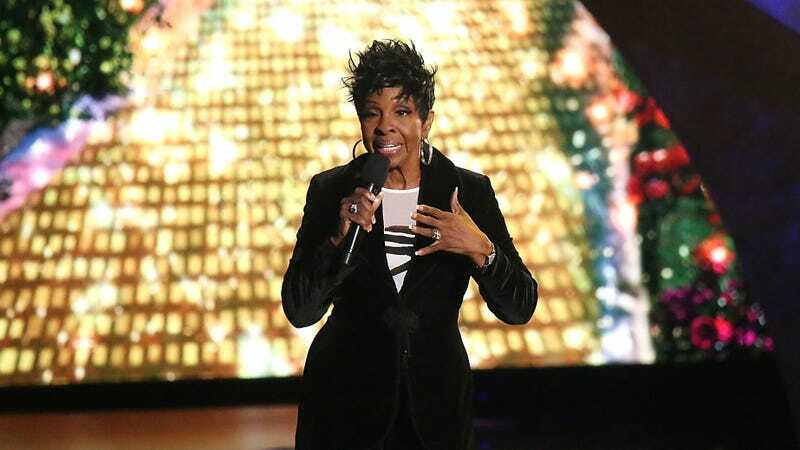 So, understandably, it is low-key heartbreaking to hear through the grapevine (also known as Variety) that national treasure Gladys Knight has decided to depart the struggle on the midnight train to (Atlanta) Georgia to sing the National Anthem for Super Bowl LIII. Motown wept. And personally, I’ve really got to use my imagination to keep on keepin’ on. Predictably, Knight faced significant backlash on social media from those disappointed that a black icon would lend her legacy and legendary voice to a league that has been repeatedly and unapologetically dismissive of black issues, despite employing 70 percent black players. Many felt maybe this was just a matter of tweeting some sense into one of our civil rights-era faves. You know, because that’s what friends are for. But it’s rude to interrupt your elders. Go on, Gladys. Because I truly do love Gladys Knight as if she were one of my own aunties, I’m not prone to canceling her for this deeply controversial choice. (Besides, neither one of us wants to be the first to say “goodbye.”) And I’d be remiss if I didn’t admit to knowing several people in her age group who witnessed or participated in the civil rights movement but still question the effectiveness of this ongoing protest. We’ve agreed to disagree. That said, not one of them would defend singing that song.